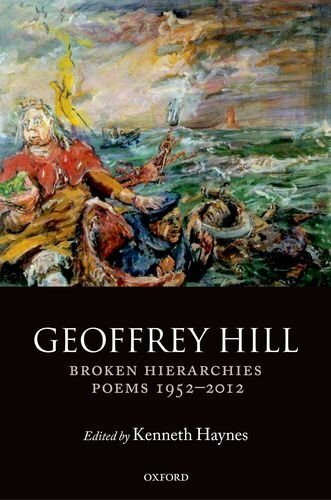 Oxford University Press has announced this coming November as the publication date for Geoffrey Hill’s collected poetical writings, Broken Hierarchies: Poems 1952-2012. Being published by OUP isn’t the same as being published in its World’s Classics or Oxford English Texts series. We don’t take publication merely by Penguin to be the same as publication in its Penguin Classics series. All I was underlining is that OUP publishes very little poetry, no contemporary poetry, and virtually nothing that doesn’t appear on every university syllabus. Interestingly Isaac Rosenberg is OUP’s most recent (Feb 2012) most recent (d. 1918) poet. OUP’s poetry list was famously retired in 1999, sending O’Shem, Raine, Porter et al. (but not Hill) into the wilderness, aka Carcanet. So, given that there is no series for contemporary poetry, how would you class Hill’s collected in the catalogue? OUP.com classes it with the ones I’ve listed.